Harry Potter is one of the most successful franchises in the world with millions of fans. Most fans get their Hogwart fix reading the books, watching the movies, or visiting the Wizarding World of Harry Potter at Universal Studios. 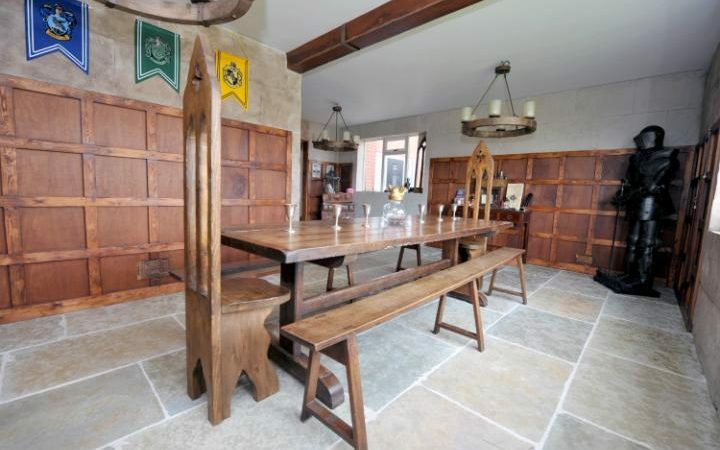 While some more eccentric fans recreate things like Butter Beer, one woman decided to take her love of all things Potter one step further and transformed her house into a mini Hogwarts! 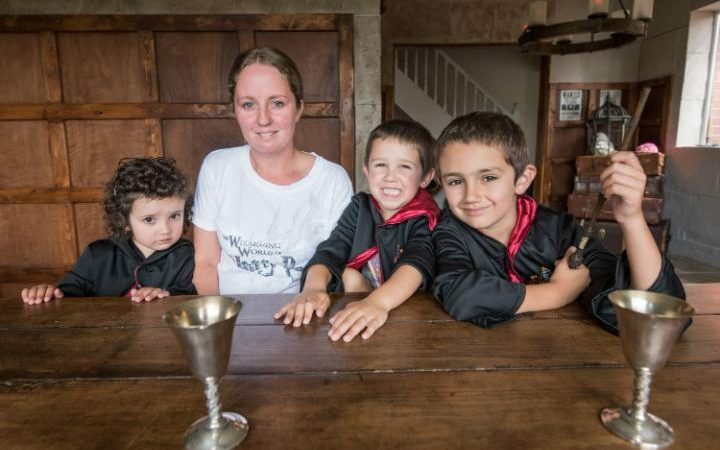 Mr and Mrs Kyriakou, along with their three children, are obsessed with Harry Potter. After a visit to the Harry Potter theme park, they all thought, “Why can’t we do this at home?” , so when they returned from their trip, they embarked on a journey to magically transform their dining room into a miniature version of the Hogwarts Dining Hall. It took 18 months to complete the project and the total cost was £13,000. This includes £4,000 for the limestone floor, £2,000 for a log burner, £80 spent on wands and £60 on flags. The wooden wall panels were made by Mr Kyriakou himself, while the replicas were bought from different antique and collector shops. 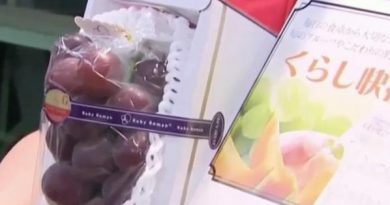 They were also able to get two original props from the movie — one of the letters thrown through the fire place that costs £200 and a witch in a jar from Professor Lupin’s office that costs £350. 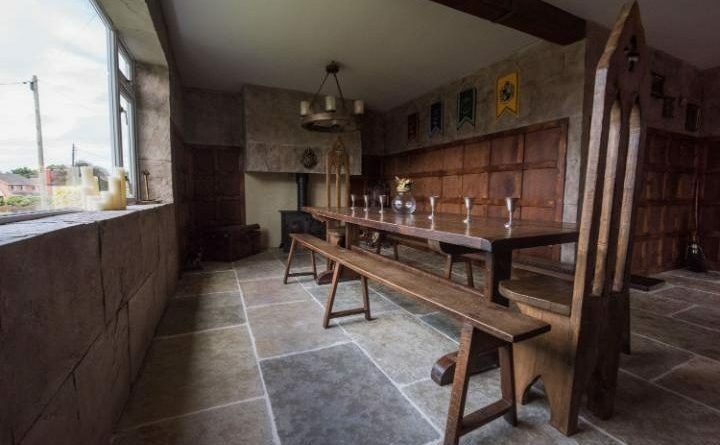 The Kyriakou’s family’s dining Hall cannot fit all of the Hogwarts students, but it can cozily accommodate 22 people during their annual enchanting Christmas Dinner.